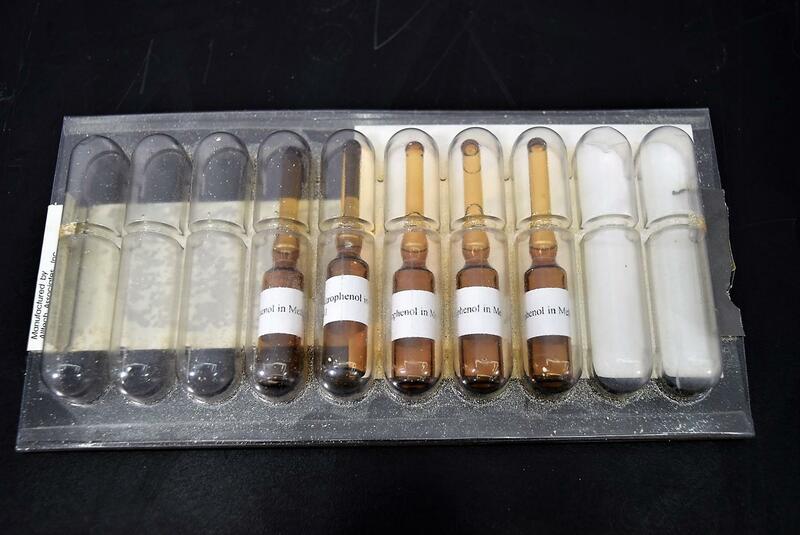 Varian 03-937283-01 ESI Sensitivity 1200L LC/MS 4-Nitrophenol 5 Test Samples . New Life Scientific, Inc. Contains five ampoules, each containing approximately 1.2mL. the vials are still intact. One of the vials has been used out of the pack.